If you have an old clunker lying around, you might want to turn it into cash. If it’s your primary vehicle, then it may be especially important to get some cash out of it, along with a new ride so that you can get to work and meet your other commitments. But even if it’s a spare vehicle, chances are you can get more value from it than just having it sit and cost you money in insurance premiums or other fees. Of course, you already know that you can sell it or trade it in, but there are a few creative options at your disposal, too. Here are the best ways to turn your clunker into cash, regardless of your situation. You’ll essentially have to take the car apart piece by piece, so you will really have to know what you’re doing (or have a friend who owes you a very big favor). Then, you’ll need to photograph and list all the parts on sites like ebay, craigslist and automotive forums. That can take significant time in and of itself. Then, there’s the shipping and/or arranging meetings with potential buyers (who might be flaky). Before taking this route, make sure your parts will be in demand, and ensure that you have the free time and patience to take this on without disrupting too much of your day-to-day life. If your car isn’t in good condition, and parting it out isn’t an option, your next best bet is to junk it. How much you receive will vary, based on the company you choose and the specifics of your car. Some companies advertise a flat fee, like “$500 for any car,” so you can think of $500 as a fair minimum. These companies often come pick up your car, but you may be able to get more in return by driving it to them, if possible. If you’d rather sell the car, you might find a dealer who will pay you, rather than just giving trade in credit. CarMax, in particular, is known for this practice. At the time of writing this article, Carmax says you can “Get an offer in as little as 30 minutes and leave with payment in hand.” Your car will likely have to be in working order (at least be driveable) for this option. You will also likely receive significantly less than if you sold to a private party, though this may be a good option if you need to turn the car over quickly. If you also need to get a new vehicle, trading it in to a dealer may help you get a sweeter deal, though it still likely won’t be as good as a private sale. One new trend is auto consignment, which aims to provide a middle ground between trade ins and private sales. This business model allows you to “hand off” the car to a third party who sells it on your behalf. In many cases, you name the price and get to hear the offers from potential buyers before committing to the sale. 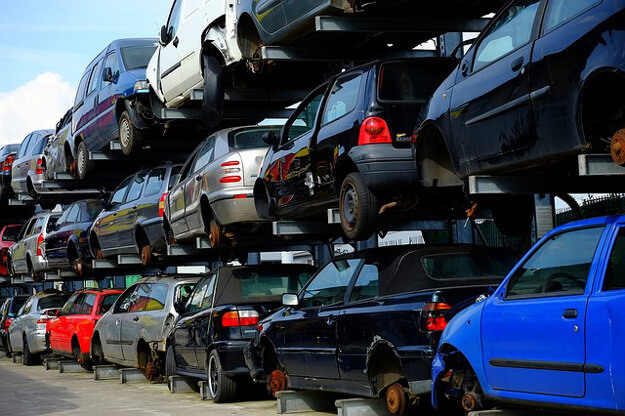 The consignment company will charge fees for their services, but once you do the math you might find that you retain much more of the car’s value than with a traditional trade in arrangement. They also typically allow you to consign a car that you are still financing. This is a great perk, because a private sale of a financed car is much more complicated. One popular option for consignments in the Mid Atlantic is a quickly-expanding company called CarLotz, but you can likely find independent consignment companies in your area, too. Of course, the best way to maximize how much you make is to sell the car to a private party, using sites like autotrader and craigslist. By taking out any middlemen, you should be able to sell for a price much closer to Blue Book value. The main drawbacks here are that there is more time involved on your end, and that the deal may take a while. If you don’t find a buyer soon, you may end up spending more on the car, once you account for insurance payments and other maintenance, than if you used one of the quicker methods mentioned above. In some states you can rent out your car. This is particularly useful if you live in a big city or a tourist area. Your car will need to be in working order, but this could be a good option to extend its life and bring in some extra cash. Want to learn more about how this works? Turo and Getaround are two popular P2P car charing companies, so check them out for more information. You might not think of donating a car as a way of “making money” but it could actually amount to some income in the form of a tax break. Depending on the specifics of your car, and how it’s used by the charity, it’s possible that you earn more from this approach than junking the car. 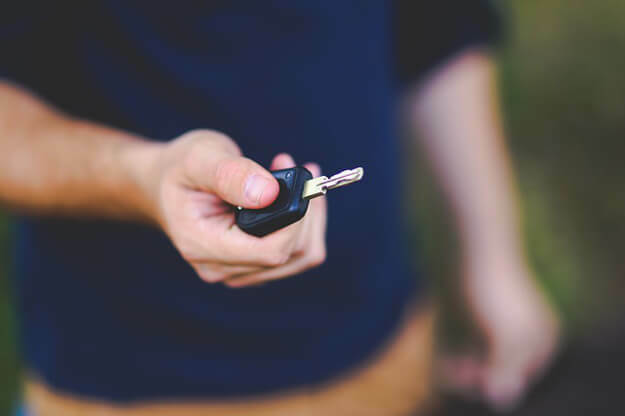 However, the rules around vehicle donations have changed in recent years, and it’s difficult to know how much of a tax break your donation will earn. Here’s a good overview of the tax policy, but the summary is that the amount you can deduct is based on how much the charity sells your car for and/or how they use it (in ways other than selling). That likely sounds a bit complicated, so be should to read up on the specifics before pursuing this option. Ok, so this isn’t the most practical option…but it’s an option. If your lease is up or your housing situation is complicated for other reasons, living in your car might be a money-saving tactic to consider. You wouldn’t want to do this with a total clunker, but it doesn’t have to be a fresh ride either. And, of course, our hope for all consumers is that they have safe and reliable housing, so we aren’t advocating for anything other than that here. However, the story of this summer intern in Seattle is pretty interesting. Turns out that he was late in signing up for an apartment, leaving him only with rent options at $1,200 per month and above. By paying $600 for a spot in a campsite, along with $56 for a gym membership, he lived out of his car and had most of the amenities of an apartment (well, minus a bed and kitchen) at about half the cost. Essentially, he “made” $600 as compared to his other options. Perhaps the most surprising thing about his story is that he met a lot of other people also living out of cars by choice. So again…it’s an option. Basically, if you have an old car that’s just sitting around or broke down and is threatening your financial well-being, then you should take action. Put one of these tactics to use and cash in.